These days we ring in the New Year a little differently…at home and barely awake! 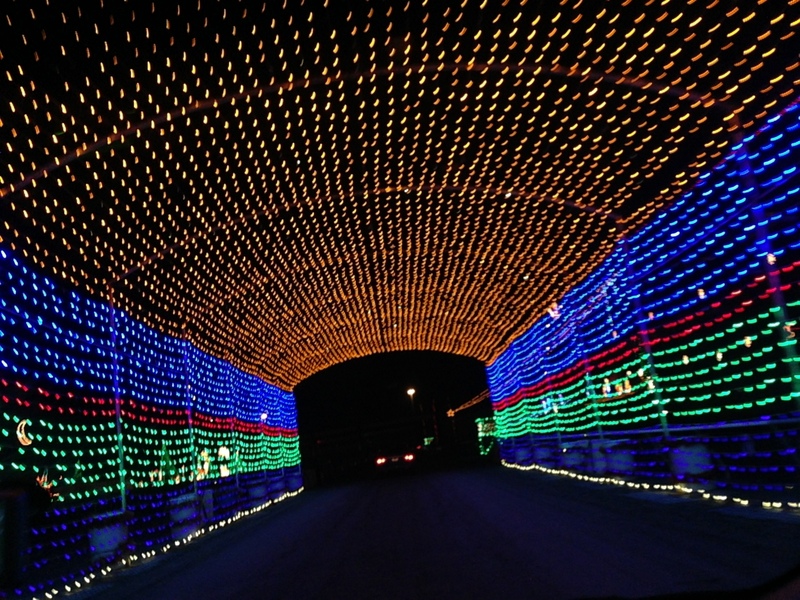 This year we decided to take in the Holiday Lights show at the Del Mar Fair Grounds. I was nice. They had lights of every shape and form on the infield of the racetrack and you got to drive around the track to view them. My favorites were the train and Santa playing basketball. They were animated lights….always a big hit with me. After the lights we came home and attempted to stay awake until midnight. We were expecting to watch a West Coast celebration of NYE but instead got a recorded NYC East Coast version…kinda silly if you ask me. But we managed to stay awake…were joined by P1 and P3 and then promptly went to bed. Party animals, I know! Looking back at 2012, it was a fairly quiet year…we waited almost half the year for orders and then BAM! It was time to move! I went on my first cruise with my wonderful NY friend, where I met a few other ladies…we drove cross country from NY to CA. I got to see 14 states, Niagra Falls, Churchill Downs, St. Louis Arch, The Grand Canyon, stood on 4 states at once at Four Corners, crossed the Continental Divide and the Great Plains. I saw the deserts of Arizona….HUGE farms, lots of nothing, the Mexican Border, and now we are settled in San Diego. Within a week here my husband got hit by a car (on his bike) and broke his pinky. The kids started karate. Sibylla started Kindergarten and several months after we arrived we welcomed P4 (Kiran)! There have been up’s (Kiran) and there have been downs (hubby’s accident, car getting broken into) but all in all it’s been a good year. And, again, the weather in San Diego is perfect. We are enjoying our time on the West Coast and look forward to exploring it more in 2013….starting with LA and Hollywood today!